With Shopify, users can build beautiful websites for their online store. 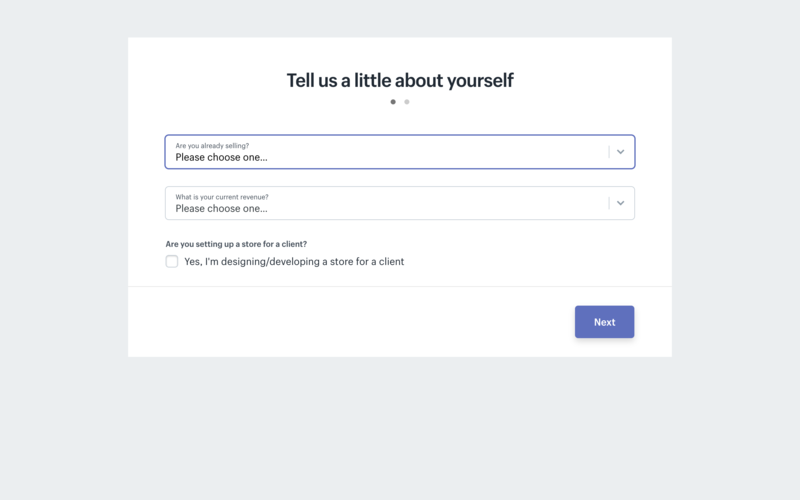 In their onboarding, they get straight to the point by requesting key information from new users and then bringing them straight to their site building dashboard. Shopify doesn't ask for too much information up front. Their short survey requests the right information from new customers looking to build a website. Shopify can use this data to help create better experiences for users. 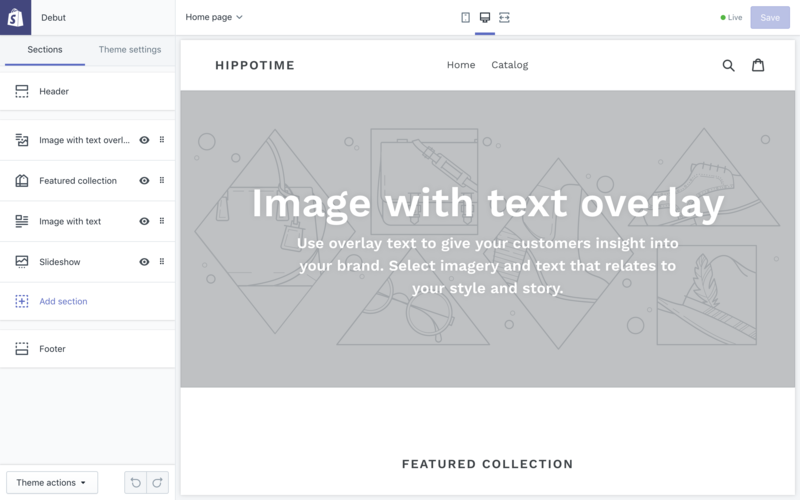 In their theme builder, Shopify uses the layout to include the design instructions. Rather than a tooltip or pop-up window, the onboarding information is embedded in the tool. It's interactive and easy to see for users looking to explore the theme builder.